Bike security is not too much of a concern for me. 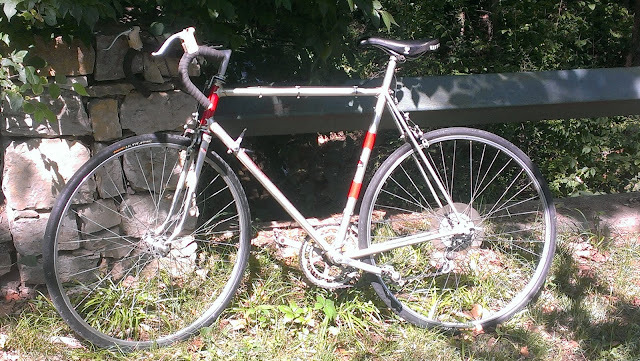 My riding does not have me leaving my bike out of my sight very often. If I do leave my bike only when I run into restaurant or grocery store while touring or training. I do not want to carry a heavy lock or cable but wanted something that would, as the say, "keep honest people honest" . My thought was just to have something that would keep the bike from 'rolling away'. 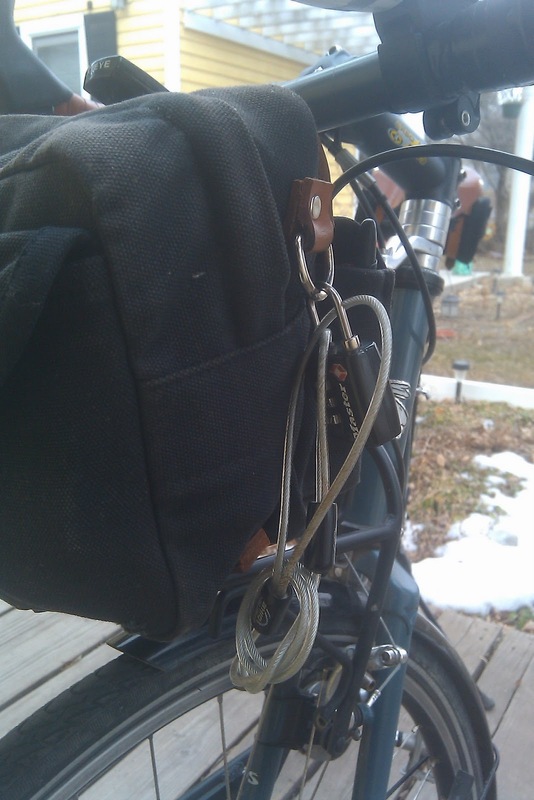 For the past two years I have been using Planet Bike's Seat Leash for my security. It is lightweight and easy to carry. I can lock the frame to a secure item or just loop the cable through the rear wheel and bike frame. So far I have had no issues.... but then again, I do not use this for real "security" . 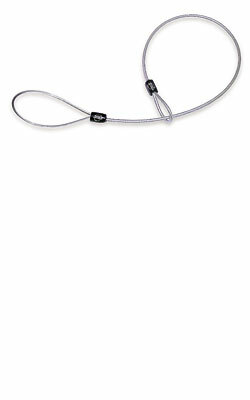 Here are a couple of images of the Seat Leash. The seat leash with lock coiled up and easily attached to the Acorn Bag is pictured below. Perhaps this may be a solution that you can use. I enjoy your posts. You make living in a smaller city or large town seem very appealing and secure. Hi, my loved one! I want to say that this article is amazing, nice written and come with approximately all vital infos. I'd like to look more posts like this.